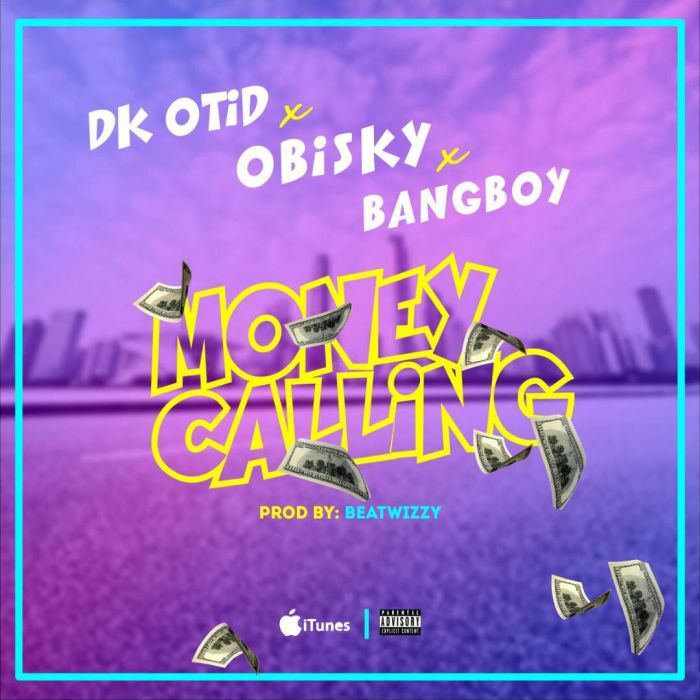 Download Music Mp3 titled '' Money Calling'' By DK Otid, #Obisky and #Bangboy, Money Calling was produced by Beatwizzy. Click the link below to Download and Listen to the music. After the successful release of the Jam “Alubarica” featuring the Masterplan DJ Leezyace, DK Otid x Obisky x Bangboy under the Management of Sound Dragon Empire decided to hit you all with another dope tune that will surely catch your feelings. “Money Calling ” as produced by Prod. By Beatwizzy is a tune you can easily groove to.